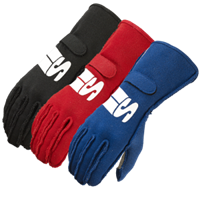 Double layer Nomex® knit construction with an SFI 3.3/5 rating. The Young Gun is super sylish and super protective. Available in kids sizing Small, Medium and Large. Color: Black with White and Silver accents. 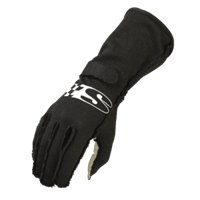 This glove is available with inside seams only. 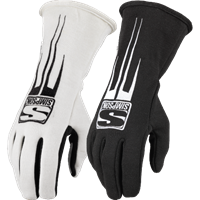 The Predator Glove is constructed of Nomex®, the fabric of choice for protective gear. 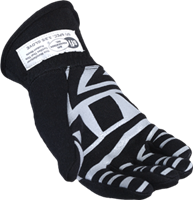 Individual performance leather grip-points are strategically placed to provide exceptional dexterity and natural wheel grip. Nomex's® reduced heat transfer capabilities bring an unmatched level of protection. The Predator also features an extra long bunch free gauntlet and knock out style that is sure to get you noticed. Available in much sought after White, or the always appropriate Black.